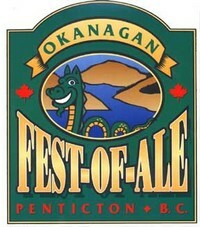 On Friday April 4th, 2014 the Penticton Fest-Of-Ale returned for a the 19th year. I did not know what to think when I headed out to this festival as it was my first time attending. I had heard that it was a small event which seemed to make sense as it takes place all the way in the Okanagan. I was glad to be surprised by the scale of the event though. The event took place at the Penticton Trade and Convention Centre. This year the floor layout was rearranged to allow for more amazing craft beer and some cider makers. 35 brewers came out to the event this year including 8 that had not been to the festival before. I was lucky enough to be given access to the industry event that took place before the doors opened to the public. This was a chance for industry people to get to the different booths and try the beer before the craziness began. The Fest-Of-Ale started in earnest at 4pm but the industry was let in at 3pm. Here are a few photos from this portion of the event. Once the doors were opened to the public at 4pm the hall really started to fill up! People were really jacked up to try all of the beer that was being offered. There was also a bunch of live music on hand including Flashback, Joe’s Garage and Papa Wheeley. There was also some fantastic food on hand from Barley Mill Brew Pub, Bogner’s, Boston Pizza, Jack Kelly Coffe, La Casa Ouzeria, Murray’s Pizza, Opus Cafe Bistro, Penticton Lakeside Resort, Smoking Hot Donair and Brodo Kitchen. I think my highlight of the fist day of the event was meeting so many great people from all over the Province from the Owners of the Lions Head Pub in Robson to meeting new Brewmasters and Brewery staff. My favorite booth and beer of Day one came from Firehall Brewery. Not only did they have great beer but they also had a really firehall like setup with flashing lights and suspenders. My favourite food had to be the Meatloaf Sandwich from The Barking Parrot Greasy Spoon. I drank a bunch of samples during the event although I did not pay close attention as I was more just taking in the event and the people. I also knew that I was going to have to be up very bright and early to Judge the Beer of the competition. I kept the beer consumption fairly low. Day one was a blast and it was only the beginning for me! I was pretty excited and a bit nervous about day two and being one of the Judges for the event. Find Full Sized photos of the event here. This entry was posted in Tasting Event and tagged aldergrove, alpine brewing company, bad tattoo brewing, barley mill brew pub, bc, beer, big rock brewery, bomber brewing, bravo beer co, breweries, brewery, calgary, canada, cannery brewing, central city brewing, crannog ales, creemore, Creemore Springs, dead frog brewery, deer cove brewers and distillers, delta, driftwood brewery, fernie, fernie brewing co, fest-of-ale, firehall brewery, Four Winds Brewing Company, granville island brewing company, hoyne brewing, kelowna, lighthouse brewing, mccleland premium imports, mill street brewery, mt begbie brewing, nelson, Nelson brewing company, north vancouver, okanagan, oliver, ontario, orchard hill cidery, oroville, parallel 49 brewing, penticton, phillips brewing, red truck brewing company, revelstoke, sorrento, stanly park brewery, steamworks brewing, summerland, summerland heritage cider company, surrey, tin whistle brewery, toronto, tree brewing, vancouver, vancouver island brewery, victoria, wards cider, washington, Whistler, whistler brewing company.